The annual Ostrich Festival (formerly referred to as the Chandler Ostrich Festival) has been recognized as one of the "Top 10 Unique Festivals in the United States" with its lanky ostriches, multiple entertainment bands, and many special gifts and food vendors. The Ostrich Festival is truly a unique festival, and suitable for the entire family, and 2018's festival is the 30th annual celebration. Featuring more than 100 arts and crafts booths, carnival rides, concerts, and live ostrich displays, as well as the famous ostrich races, turn Tumbleweek Park into an out-of-this-world experience unlike any other in Arizona. Dates for the Ostrich Festival are Friday, March 9 through Sunday, March 11, 2018, and the events take place at Tumbleweed Park in Chandler. Plenty of on-site parking will be available, but there is a fee per vehicle for parking so bring cash. The Mayor's 5k Fun Run and Youth Run (1.5 miles) begin at 8:15 a.m. and 7:30 a.m., respectively, and welcome all ages and abilities. Check-in starts at 6:30 a.m. at Dr. AJ Chandler Park in downtown Chandler, and the run begins at Arizona Avenue and Boston Street. Cost varies depending on how early you register. The Ostrich Festival Parade follows the runs at 10 a.m. The parade route starts at Ray Road and Arizona Avenue and proceeds south on Arizona Avenue to Chicago Street. The Public Safety Fair offers free admission to the fair, which includes a variety of fire apparatus and police vehicles on display at both headquarters, police demonstrations with the K-9 Unit and Tactical Robot Unit, a free Child Fingerprinting I.D. clinic, face-painting, balloons, badge stickers, and a special appearance by McGruff the Crime Dog. Meanwhile, the Chandler Classic Car Show is also open to the public all day starting at 10 a.m. There is something for everyone at the Ostrich Festival. Live ostrich displays and multiple stages of live entertainment are all included in admission price. The schedule should help you plan your days at the Ostrich Festival. All concerts and performances are included in the admission charge. Concerts have some chairs as well as lawn seating, but chairs and blankets are encouraged. There are several stages, and The Beach Boys are performing the Sunday night of the 2018 event, with many more artists being announced on the official website daily. The ostrich races may be the main attraction of the Ostrich Festival. There are several ostrich races over the course of the three-day festival, and each ostrich race lasts about 45 minutes and is included in the price of admission. Additionally, you can explore over 100 arts and crafts booths, a carnival with rides, and other amusements. You can try an ostrich burger here, and the younger kids will enjoy the Kids' Area, which includes a petting zoo, pony rides, and other fun stuff geared toward young children. The official address of the Ostrich Festival is 2250 South McQueen Road, Chandler, AZ 85249, near the intersection of McQueen and Germann Roads. From the north and west, take I-10 east to the Queen Creek Road exit and turn east towards Chandler. Drive approximately nine miles to McQueen Road and go north on McQueen to Germann. From the east, take Highway 60 to the Mesa Drive exit, then go south on Mesa Drive (which turns into McQueen just south of Germann Road). Located in Tumbleweed Park, where you can also access the Arizona Railway Museum. The part also hosts several other annual festivals and events including Chandler's 4th of July Festival. 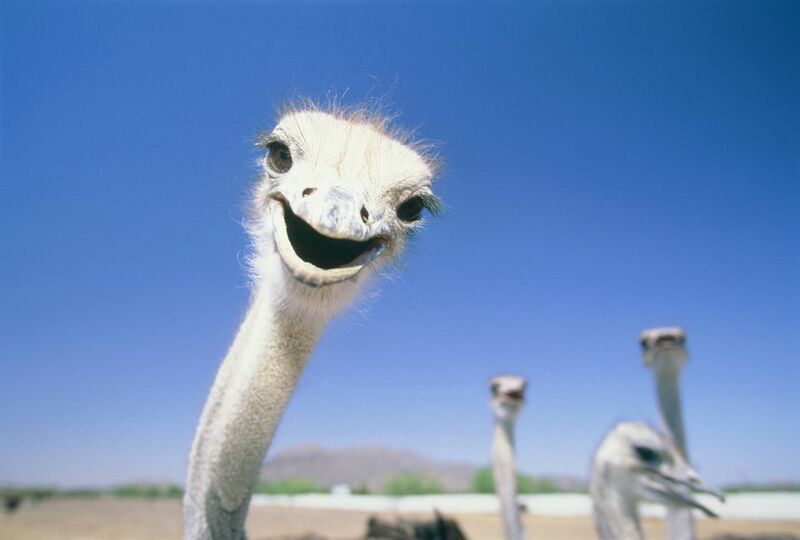 Tickets for the Ostrich Festival can be purchased at the event each day with prices ranging from $8 to $15. Children four and under and seniors 55+ are free. VIP tickets are $50 for adults and $30 for children and include VIP tent access, one meal, and three drinks. Outdoor Movies at Glendale, Arizona Parks — and They are Free!